In addition to the seven feasts of YAH as set forth in Vayiqra (Leviticus) 23 and elsewhere, there are also seven fasts described in Scripture. Four fast days emerge from the scripture set forth in Zakaryahu (Zechariah) 8:19, which are declared to commemorate the destruction of both the first and the second temples, and the exile of the House of Yahudah into Babylon and beyond. There are a total of seven tzomot (fasts) including the fast that is declared for Yom Kippur. Ta’anit Bikooriym: This is a fast of the first born which is only observed by first born males. This fast commemorates the salvation from the tenth plague of the first born in Egypt, although following the destruction of the second temple, it also mourns the end of the practices of the Levitical (Coheniym) priesthood. This fast is observed on the day of Pesach (14 Aviv). Tzom Revi’iy: This is a fast day on the 17th of Revi’iy (Tammuz), which commemorates the breaking down of the wall of Yerushaliym by Nebu’chadnezzar, and the taking away of the Temple sacrifice during the siege of Titus in 70 A.D. This is the fast of the fourth month. Tisha B’Av: The ninth of Av (Chamishiy) is a well-known fast day which commemorates the tragedies of the Yahudiym. The fast is known as the fast of the fifth month, and it is the second most important fast in the Yahudi world. On the eve of the fast, some keep the practice of eating a boiled egg sprinkled with ashes. 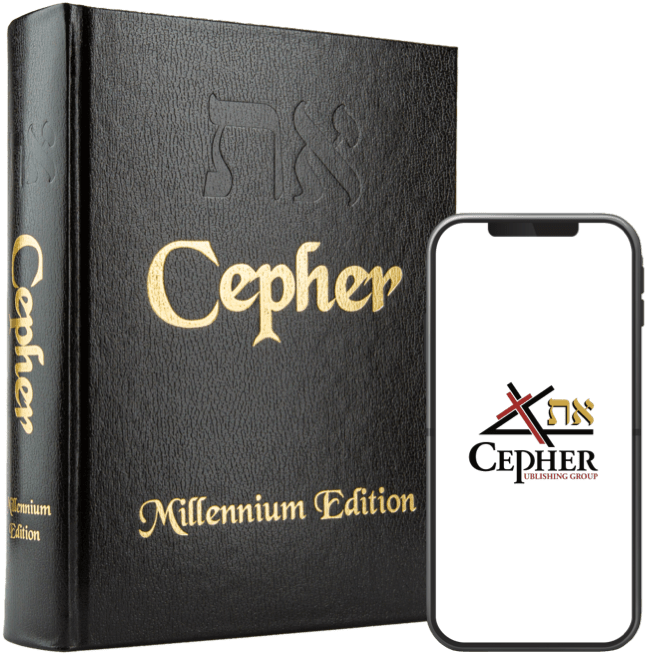 Tzom Gedaliah: This is the fast of the seventh month, and is a fast that occurs immediately following the two day celebration of Yom Teruah, which occurs on the first day of the seventh month. This fast commemorates the assassination of Gedaliah, the king who replaced Zedekiah, the replacement of Yahoikim, the last rightful king of Yahudah in the line of Jesse (until HaMashiach). And this shall be a statute forever unto you: that in the seventh month, on the tenth day of the month, ye shall afflict your souls, and do no work at all, whether it be one of your own country, or a stranger that sojourns among you: 30 For on that day shall the priest make an atonement for you, to cleanse you, that ye may be clean from all your sins before YAHUAH. 31 It shall be a Sabbath of rest unto you, and ye shall afflict your souls, by a statute forever. Then I proclaimed a fast there, at the river of Ahava, that we might afflict ourselves before ELOHAYNU, to seek of him a right way for us, and for our little ones, and for all our substance. Asarah B’Tevet: The 10th day of Asiyriy (Tevet) is a fast day commemorating the fall of Yerushaliym. The prayer, the Kaddish, is recited on this day, and this is referred to as the fast of the 10th month. Then Ecter bade them return Mordekai this answer, 16 Go, gather togetherאת eth-all the Yahudiym that are present in Shushan, and fast ye for me, and neither eat nor drink three days, night or day: I also and my maidens will fast likewise; and so will I go in unto the king, which is not according to the law: and if I perish, I perish. 17 So Mordekai went his way, and did according to all that Ecter had commanded him. Ta’anit Esther: The fast of Esther is observed on three days before Purim, on Asar Shenayim (Adar) 11, and is traditionally a three day fast which is denoted by neither eating nor drinking. However, fasting (other than the Ecter fast) may not be what you are thinking it is. Let us take a look at the instructions given within the Scriptures to see what is expected. AND it came to pass in the fourth year of king Dar`yavesh, that the Word of YAHUAH came unto Zakaryahu in the fourth day of the ninth month, even in Kiclev; 2 When they had sent unto the house of EL Shar’etser and Regem Melek, and their men, to prayאת eth-before YAHUAH, 3 And to speak unto the priests which were in the house of YAHUAH TSEVA’OT, and to the prophets, saying, Should I weep in the fifth month, separating myself, as I have done these so many years? 4 Then came the Word of YAHUAH TSEVA’OT unto me, saying, 5 Speak unto all the people of the land, and to the priests, saying, When ye fasted and mourned in the fifth and seventh month, even those seventy years, did ye at all fast unto me, even to me? 6 And when ye did eat, and when ye did drink, did not ye eat for yourselves, and drink for yourselves? 7 Should ye not hearאת eth-the words which YAHUAH has cried by the former prophets, when Yerushalayim was inhabited and in prosperity, and the cities thereof round about her, when men inhabited the Negev and the plain? So we see that the practice of Zakaryahu on the fast was to weep before YAH, in an affliction for the cause of the fast. However, it appears that eating and drinking were also part of the fast. Nonetheless, YAH gives the instruction to Zakaryahu to hearאת eth-the words which YAHUAH has cried by the former prophets, when Yerushalayim was inhabited and in prosperity, and the cities thereof round about her, when men inhabited the Negev and the plain. The word then given in Yeshayahu is reaffirmed in a second witness as to how a fast is to be performed. Wherefore have we fasted, say they, and you see not? wherefore have we afflicted our soul, and you take no knowledge? Behold, in the day of your fast ye find pleasure, and exact all your labours. 4 Behold, ye fast for strife and debate, and to smite with the fist of wickedness: ye shall not fast as ye do this day, to make your voice to be heard on high. 5 Is it such a fast that I have chosen? a day for a man to afflict his soul? is it to bow down his head as a bulrush, and to spread sackcloth and ashes under him? will you call this a fast, and an acceptable day to YAHUAH? 6 Is not this the fast that I have chosen? to loose the bands of wickedness, to undo the heavy burdens, and to let the oppressed go free, and that ye break every yoke? 7 Is it not to deal your bread to the hungry, and that you bring the poor that are cast out to your house? when you see the naked, that you cover him; and that you hide not yourself from your own flesh? · Spreading sackcloth and ashes. · Not hiding yourself from your own flesh (restoring yourself to your family). Of course, there are specifics that are required for certain fasts, particularly the fast of Yom Kippur. However, for the remaining fasts – other than the practice of the Ecter fast, this is the method of fasting that is to be practiced. If you do so, then a blessing can be found. Then shall your light break forth as the morning, and your health shall spring forth speedily: and your righteousness shall go before you; the glory of YAHUAH shall be your rearward. 9 Then shall you call, and YAHUAH shall answer; you shall cry, and he shall say, Here I am. If you take away from the midst of you the yoke, the putting forth of the finger, and speaking vanity; 10 And if you draw out your soul to the hungry, and satisfy the afflicted soul; then shall your light rise in obscurity, and your darkness be as the noonday: 11 And YAHUAH shall guide you continually, and satisfy your soul in drought, and make fat your bones: and you shall be like a watered garden, and like a spring of water, whose waters fail not. 12 And they that shall be of you shall build the old waste places: you shall raise up the foundations of many generations; and you shall be called, The repairer of the breach, The restorer of paths to dwell in. · Satisfy the afflicted soul. · You shall cry, and he shall say, Here I Am. If you turn away your foot from the Shabbat, from doing your pleasure on my holy day; and call the Shabbat a delight, the holy of YAHUAH, honourable; and shall honour him, not doing your own ways, nor finding your own pleasure, nor speaking your own words: 14 Then shall you delight yourself in YAHUAH; and I will cause you to ride upon the high places of the earth, and feed you with the heritage of Ya`aqov your father: for the mouth of YAHUAH has spoken it. · YAHUAH will feed you with the heritage of Ya’aqov (Yisra’el) your father. The keeping of the Shabbat is that which provides you with the heritage of the house of Yisra’el, and the deliverance of the remnant thereof, even in the last days. Moreover when ye fast, be not, as the hypocrites, of a sad countenance: for they disfigure their faces, that they may appear unto men to fast. Amein I say unto you, They have their reward. 17 But you, when you fast, anoint your head, and wash your face; 18 That you appear not unto men to fast, but unto your Father which is in secret: and your Father, which sees in secret, shall reward you openly.